“United in Music” is a youth exchange dedicated to music and the intercultural dialog. It will take place between 30 July and 7 August 2018 by river Kolpa in Bela krajina, where we will connect 34 participants from Greece, Jordan, Lebanon, the United Kingdom, and Slovenia through creating together. Music is an efficient medium transcending cultural differences and recognising the benefits of multicultural society. Positive effects also reside in listening and playing music as well as creating music. Singing doesn’t just influence our mood, but it also has a positive impact on the physical state of our body. Group singing, playing and creating music enables interaction with people, which establishes real harmony through building bridges between individuals hailing from different cultures. European values such as tolerance, justice, solidarity and non-discrimination are facing a difficult challenge today, especially in times of accelerated migrations and economic crises. However, migrations are an important and inevitable part of the economic and social life of every country, therefore it is important to sensitise young people to it in order for them to see the positive sides of multicultural societies. Our task is to incite young people to be open and curious so that we can overcome elements of xenophobia and racism together. This is all the more important in this time when radical nationalisms are dangerously growing and attracting young vulnerable people who sometimes do not see meaning in their lives and are then seeking it in groups with dangerous views due to their lack of feeling of safety. With the goal to increasing our understanding of the relationship between cultures, we have invited partner organisations from Lebanon and Jordan to cooperate with us. These two countries comprise a very intercultural society, which also includes many refugees. Participants from these countries will share their perspectives on migration and the possibilities of a harmonious co-existence. During the exchange, we wish to contribute to the reflection on European as well as Mediterranean identity. We will be exploring the connection between the participating countries as well as the cultural contrasts that will be enriching us. We will focus particularly on the problem of Islamophobia which can lead to a radicalisation of nationalistic groups and violence towards migrants and refugees. 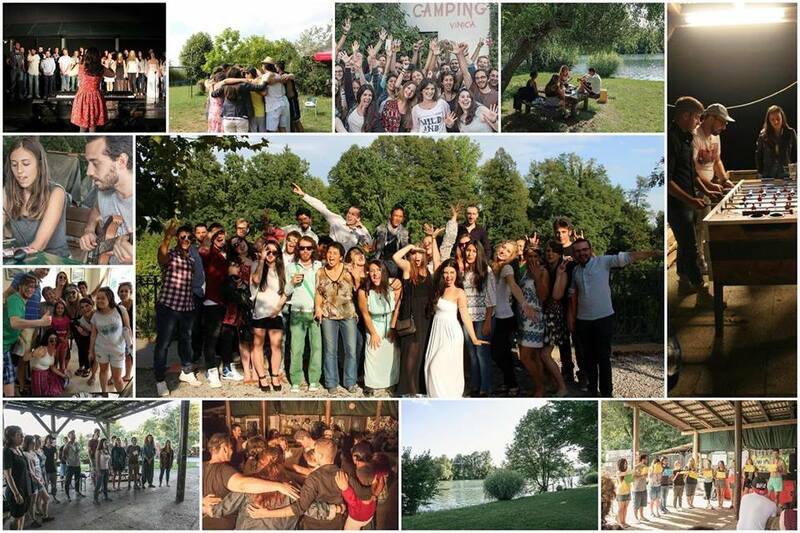 By combining young creative minds from European and South-Mediterranean countries in the harmony of singing and through other connecting activities of the exchange, we wish to reach a higher level of connectivity and consciousness between young people in order for them to continue being accepting, inclusive and active citizens. We will be choosing participants according to their affinity for music and interest for the intercultural dialog. Participants will be aged between 18 and 30, as we believe the theme of the exchange requires a certain level of maturity. The key to choosing the participants will also comprise an equal representation of the two genders as well as the priority for participants with fewer opportunities, especially refugees, asylum seekers and young people with migrant backgrounds. Participants with fewer opportunities will be cooperating and socialising in the frame of a supporting environment where all are equal and opportunities are balanced. The goals set will be pursued through non-formal methods of teaching music and intercultural dialog that will be entirely prepared and conducted by participants under the mentorship of group leaders and staff. During the exchange, participants will gain knowledge of vocal technique, choir singing, harmony and performance, but they will also learn about supporting activities such as music production. Young participants will prepare practical workshops, a photo marathon team building, games, presentations, intercultural evenings, an excursion in Bela Krajina and shows with local artists. We will also organise a public concert where participants will present all the acquired knowledge to the public. “United in Music” is an upgrade of the successful projects “Rhythm of Youth” and “Music on the Move”, which were acknowledged as good practice examples by our Erasmus + national agency. The project is co-financed by the European Commission under the Erasmus+ program.